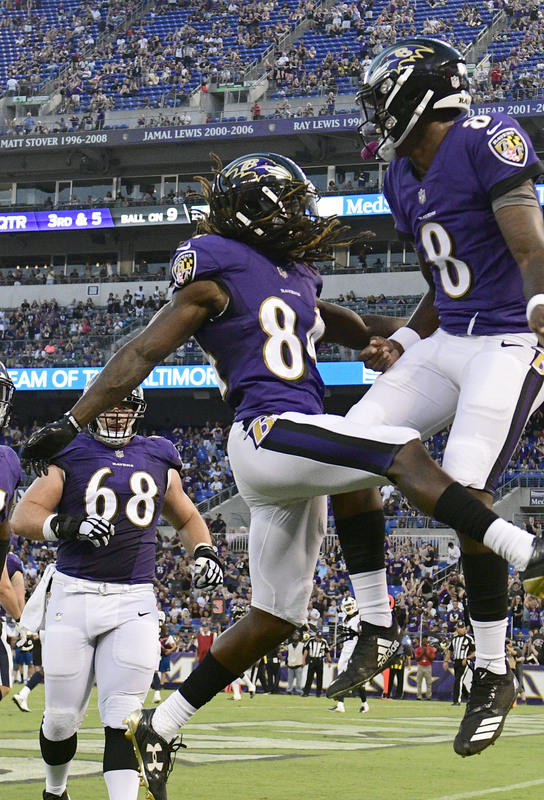 The Ravens have swapped return men. ESPN’s Jamison Hensley reports (via Twitter) that the team has promoted returner/wideout Tim White from the practice squad and waived returner/wideout Janarion Grant. The team has also waived offensive lineman Jermaine Eluemunor and promoted defensive back Robertson Daniel. 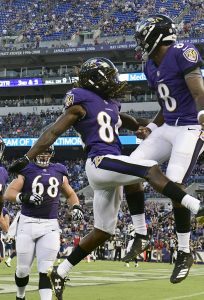 Grant, an undrafted rookie out of Rutgers, made the Ravens’ initial roster as their primary kick and punt returner. However, the 24-year-old has struggled through his first two regular season games, losing a pair of fumbles. There should be some room for optimism, as his kick return average (28 yards) and punt return average (7.4 yards) are plenty impressive. Now, White will have his chance at being the team’s primary return man. The 24-year-old joined the organization last year as an undrafted free agent out of Arizona State, and he spent the majority of his rookie season on the injured reserve. He was cut by the Ravens at the end of this year’s training camp, but he quickly caught on with the team’s practice squad. With Anthony Averett struggling through a hamstring injury, Daniel should provide the team with some additional depth. The former undrafted free agent out of Bringham Young has bounced around the NFL, but he’s spent the past two-plus seasons with the Ravens. The 26-year-old only has a single career game under his belt, and he’ll likely slide in to the bottom of the team’s cornerback depth chart. Eluemunor was a fifth-round pick by the Ravens in 2017, and he appeared in eight games (two starts) as a rookie, earning him an All-Rookie nod. However, the 23-year-old was buried on the depth chart heading into the 2018 campaign, and he didn’t see the field during Baltimore’s first two regular season contests. With the move, the Ravens are now only rostering seven offensive lineman: Ronnie Stanley, Alex Lewis, Matt Skura, Marshal Yanda, James Hurst, Orlando Brown, and Bradley Bozeman.